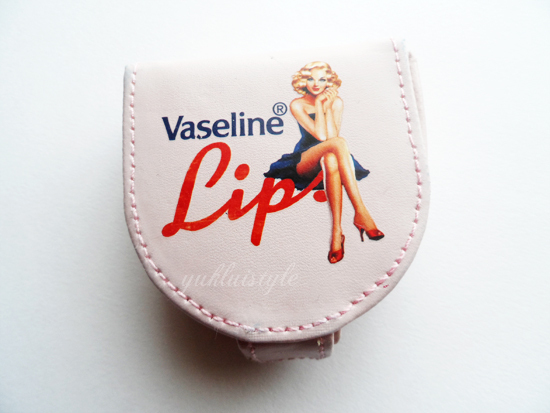 I’ve seen this around the Christmas period and thought that it was just a case for you to store your Vaseline lip therapy tins in. Turns out that you get the Rosy lips included too. You can always change it and add your favourite one instead. Quite a sturdy, fashionable case that has a 1950s feel from the design on the cover. Magnetic closing for easy opening and secure closing. The image and logo is ironed on to the case. This is a lovely colour choice, has a feminine touch to it. Reasonable sized mirror. The edges would get easily stained from being in your bag, rubbing against other objects. 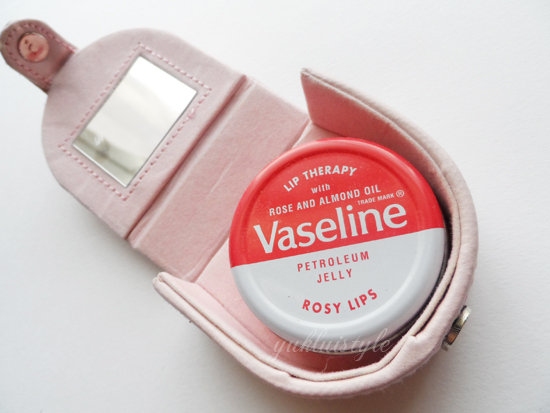 It is quite a cute little thing but I think I’d prefer a simpler design on the cover, like the Vaseline logo embossed as ironed logo doesn’t last long in my opinion.